L-1 and E-2 visas may hold the key for graduate students facing deportation. LOS ANGELES, CA, UNITED STATES, May 31, 2018 /EINPresswire.com/ — On 5/11/18 the US Citizenship and Immigration Services (USCIS) unveiled a new policy to make foreign students deportable on the first day after graduation, minimizing their chances of overstaying the student visa in America. The deported students may not be able to reenter the US for a period of 3-10 years. The law goes into effect on August 9, 2018. Traditional alternatives for foreign-born college students to remain in the US include: H-1B visas, which are being scaled back and EB-5 visas, which have their own challenges. In 2018, the Wolfe Law Group, in collaboration with industry experts, came up with a better alternative for graduating foreign students, especially creative types in the arts, utilizing the L-1 and E-2 visa. The L-1 and E-2 visa could be procured by foreign investors who invest in US Intellectual Property (i.e. copyright for films, music recordings, and video productions). International investors or foreign students can effectively own a US production company for both film and music and in exchange they get their L-1 or E-2 visa. For filmmakers and/or foreign investors it can be as simple as investing in a script. It could be an existing script or one a student or investor has already created. Please see Forbes columnist, Andy Semotiuk, recent articles: Film Makers Look to Foreign Investors to Fund Independent Films and Independent Films Tickets to America for Foreign Investors. For creatives in music there is an opportunity to work with legendary composer Lamont Dozier. With copyright ownership for music publishing, an additional source of income for films could be an original soundtrack. Please see The Wolfe Law Group 5/22/18 newsletter, How International Students Can Fund Education in America. E-2 visas are quicker than L-1, but require country of origin to be part of the E-2 Treaty. Major countries like China and Israel are not, so for them L-1 visas would need to be explored. Processing time is about 3-4 months and usually the applicant can get a three-year (renewable) visa to start. Cost will vary according to project and visa. For college graduates faced with a less than 90-day deportation risk the E-2 or L-1 visas will allow them to remain in America and pursue entertainment careers. Based on the multiple US immigration complexities it is highly recommended to consult with an immigration attorney who is an expert prior to August 9th, 2018. Please pass this on to those who you think may benefit. The time to act is now. Gary S. Wolfe has over 35 years of experience providing clients with expertise for IRS Civil and Criminal Tax Audits, International Tax Planning, and International Asset Protection. To date Gary has been the recipient of 63 International Tax & Legal awards from 11 different London/UK based global expert societies and has written 20 e-books (available on Amazon) regarding the IRS, International Tax Planning and Asset Protection. He has also published or been interviewed in 150+ separate articles published by 16 different US and International magazines. For more information see gswlaw.com. Bigfoot Project Investments Proudly Presents: "Brutal Bigfoot – Mutilations and Mutations"
REDWOOD CITY, CA, US, May 30, 2018 /EINPresswire.com/ — Bigfoot Project Investments Inc. a public company traded on the OTC Markets under the ticker symbol BGFT has produced the first of the five feature length films in the Brutal Bigfoot series. For those who have wondered if the creature known as Bigfoot had a darker side the Searching for Bigfoot Team has compiled their list of most compelling stories and will present the investigations of these violent encounters in the Brutal Bigfoot series. 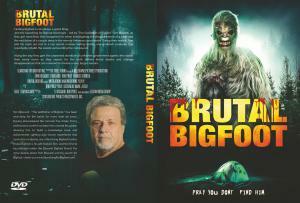 In the first feature length film the Searching for Bigfoot field team – led by “The Godfather of Bigfoot” Tom Biscardi, get more than they bargained for when investigating the disappearance of a hiker and the mutilation of a couple deep in the remote Arkansas countryside in Brutal Bigfoot: Mutilations and Mutations. The film is the first release under the “Biscardi Bigfoot Brand” banner, a new label of True/Found, a releasing company dedicated to found footage and “caught-on-camera” feature films and documentaries. Brutal Bigfoot: Mutilations and Mutations follows Biscardi and his team as they venture to the grounds of SEFOR – an actual top secret nuclear testing facility that has been closed, due in part to rumors that mutated creatures reportedly inhabit the woods surrounding the compound, creatures that were created by science-gone-wrong at SEFOR. Along the way they gain the unwanted attention of unknown government agents who watch their every move as they search for the truth behind brutal deaths and strange disappearances that are reported to involve a very large creature. Brutal Bigfoot: Mutilations and Mutations is the first in a new line of films from Biscardi, movies that will explore true-life dark and violent encounters with cryptids and mysterious beasts across the United States from Maine to Washington and all parts in between. Brutal Bigfoot: Mutilations and Mutations will be initially available on VOD through dozens of platforms, as well as on DVD. An official street date will be announced soon – be on the watch for the film through these VOD outlets: 24 Hour Movie Channel, All Warrior Network, Amazon Video Direct, Asian Mayhem, Awesome Earth, BesTV, Blackbelt TV, Cheezy Flix, China Mobile Video, Cinecliq, Conscious Good, ConTV, Dekkoo, DocCom, Docurama, DotStudio, DoveTV, FandangoNOW (formerly M-GO), Fandor, FilmBOX, FilmOn TV, FlixPremiere, Free Flix Tonight, Free Grindhouse Flix Tonight, Frequency, GONE TV, Great Outdoors Network, Hoopla Digital, Hulu, iFlix, IndieReign, iTunes, Kanopy, KinoFlimmern, Live From London, Motorland, Overdrive Digital, Pantaflix, PlutoTV, Popcornflix, PPTV, Realeyz, Retromedia, Sinclair Media Group Broadcasting, Streampix, TubiTV, TVPlayer, VHX, Viewster, Vimeo on Demand, and Wu-Tang Collection. VP Legacies is opening an office in Boston, Massachusetts, bringing their consulting, capturing and editing services to the Boston video production market. DENVER, COLORADO, USA, May 29, 2018 /EINPresswire.com/ — Denver-based video production company VP Legacies has entered into the video production market in Boston, Massachusetts. The company brings their consulting, capturing and editing services to the city, simplifying the entire video production process in addition to opening an office in the heart of the city. VP Legacies’ Boston video production services and their ability to embrace emotion allows clients to personally connect with their target audience. Their local crew of videographers and cinematographers have many years of experience within the industry. They pride themselves on their team’s professionalism and has the best eye for perfect framing with the right light. VP Legacies’ videographers in Boston and around the globe always push themselves to go above and beyond to provide clients the best service for all of their videography requirements. VP Legacies covers the whole video production process for its clients: pre-, production and post-. Content is shot in real time on location and an editing team works through the footage to create the video for clients to personally connect with their target audience. During the production stage, their talented creatives work closely with clients to craft custom videos that are perfectly balanced. VP Legacies prides themselves on fostering lasting client relationships, giving each project individual attention. Their goal is to provide video of the highest quality that goes above and beyond to help clients better serve their customers and employees in the Boston video production market. The mission of VP Legacies is to help clients tell their stories by whatever means possible. In addition to video production services, VP Legacies offers the Boston video production market personal connection consulting and photography services with the intent of connecting clients with people and their communities. The Boston area is known internationally for education, innovation, and its tradition. In Boston, VP Legacies is specifically focusing on education markets and flourishing as a company through innovation. VP Legacies is proud to operate within the Boston video production market in this historic and amazing city, helping clients personally connect with their audiences to tell their stories. We are creating a world where people aren’t afraid to personally connect. Personal connection is life and our philosophy is rooted in the power of storytelling as an innate human gift to connect with one another. The power in our ability to create personal connection is unending and immeasurable. By creating trust, sharing story details and embracing emotion, we will help you develop true personal connection with your employees and customers. To learn more about VP Legacies’ services, visit http://www.vplegacies.com/. VP Legacies is opening an office in Chicago, Illinois, bringing their consulting, capturing and editing services to the Chicago video production market. DENVER, COLORADO , USA, May 29, 2018 /EINPresswire.com/ — Denver-based video production company VP Legacies has entered into the video production market in Chicago, Illinois. The company brings their consulting, capturing and editing services to the city, simplifying the entire video production process in addition to opening an office in the heart of the city. VP Legacies’ Chicago video production services and their ability to embrace emotion allows clients to personally connect with their target audience. Their Chicago videographers have many years of experience within the industry. They pride themselves on their team’s professionalism and has the best eye for perfect framing with the right light. VP Legacies’ videographers in Chicago and around the globe always push themselves to go above and beyond to provide clients the best service for all of their videography requirements. VP Legacies covers the whole production process for its clients: pre-, production and post-. Content is shot in real time on location and an editing team works through the footage to create the video for clients to personally connect with their target audience. During the production stage, their talented creatives work closely with clients to craft custom videos that are perfectly balanced. VP Legacies prides themselves on fostering lasting client relationships, giving each project individual attention. Their goal is to provide video of the highest quality that exceeds expectations to help clients better serve their customers and employees in the Chicago video production market. The mission of VP Legacies is to help clients tell their stories by whatever means possible. In addition to video production services, VP Legacies offers the Chicago video production market personal connection consulting and photography services with the goal of connecting clients with people and their communities. Chicago, known as the Windy City is and has always been a city of innovative people. Their residents are known for getting things done and finding solutions to even the hardest problems. At VP Legacies, we focus on innovative people and companies; we like to help them to move forward and spread their ideas. Their goal is to help clients utilize their Chicago roots by helping them personally connect with the world around them. VP Legacies is proud to operate within the Chicago video production market in one of the largest cities in the United States, helping clients personally connect with their audiences to tell their stories. London-based songwriting team and pop duo, Fitzsimon and Brogan have signed with MTS Management Group for publicity and promotions. LONDON, ENGLAND, UNITED KINGDOM, May 29, 2018 /EINPresswire.com/ — Based in London, Neil Fitzsimon and Bee Brogan aim to produce "pure pop for now people." Preferring to remain faceless in an industry that holds image in high regard, the duo is bucking trends with their upcoming June album release and subsequent videos for, "Big Blue World." They model their image, or lack of one, along the lines of Fat Boy Slim, Talk Talk, and Tin Tin Out. 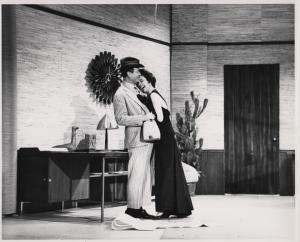 Neil and Bee were both members of the band, Pretty Blue Gun, who were signed to an indie label, licensed to Sony. The albums were produced by Pat Collier, who produced Katrina and the Waves' international hit, 'Walking on Sunshine'. The band went on national tours across the UK, until disbanding. Now, Fitzsimon and Brogan have signed with MTS Management Group for publicity and promotions of their music, including two upcoming 2018 album releases. "We are not a band, as such, (we are) more of a songwriting production team that release our own material," said Neil Fitzsimon. "We're not really interested in projecting images of ourselves, but rather than that, would prefer quirky images and logos. The name, Fitzsimon and Brogan, we chose because it's our name, but also because the initials spell FaB, which we hoped would be a lucky omen.. We base ourselves on outfits like Talk Talk, Tin Tin Out, who had a number of hits and to this day, I could not tell you what they looked like. One track in particular that we liked was 'eleven to fly' – Tin Tin Out never appeared in any of their videos or promotions. The same goes for Fat Boy Slim – great music, but not many people would even recognize him… again, he uses actors for his videos." 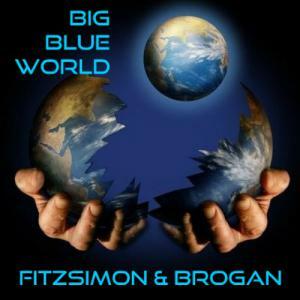 Fitzsimon and Brogan's new album, "Big Blue World" is due for release in June, with another scheduled for fall 2018 release. ABOUT FITZSIMON AND BROGAN: Neil Fitzsimon, the songwriter, and Bee Brogan, the vocalist, then went on to form a songwriting/production partnership that led to placement of their songs in Film and TV. They also wrote a musical, Jack Dagger, which was showcased at the Greenwich Theatre, London for the Musical Futures Award. It was also showcased at the Bridewell and the Royal College of Music in London. They have also just had a song placed in a USA Sci–Fi Feature film. The duo recently had a track reach number 3 on a French national download chart. Their track, "This Is Love" earned the duo Semi-Finalist status in the Eurovision Contest. 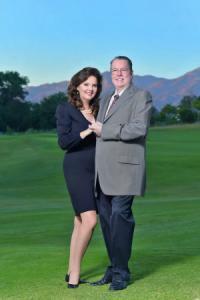 For more information, please visit http://www.facebook.com/fitzsimonandbrogan. Hat Couture ‘reimagines’ thrift store discoveries as designer millinery for fashion mavens, weddings and special occasions to acclaim from top designers. BICESTER, BUCKINGHAMSHIRE, UNITED KINGDOM, May 24, 2018 /EINPresswire.com/ — Bicester, United Kingdom – 22nd May 2018 Hat Couture announced the launch of its first collection designed by Milliner Denise Marsh. The Hollywood Legends collection is available for immediate shipping to International and local clients, who can enjoy the feel-good factor that comes with wearing an exclusive upcycled, one off creation. “Hat Couture is a new concept in high fashion millinery, I upcycle designer hats and create original objects d'art for discerning clients and fashion mavens,” said Denise Marsh, Milliner at Hat Couture, “Each rescue project is carefully taken apart by hand and remade using only the finest silk, sinamay, vintage lace, plumes, real pearls, flowers and luxury trimmings”. Most hats donated to charity shops end up in landfill adding to the millions of tons of discarded textiles that currently plague our planet. 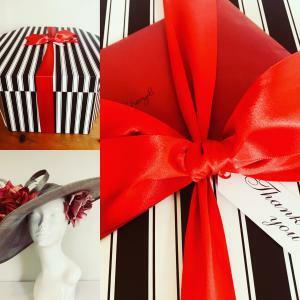 Hat Couture scours local thrift stores to rescue designer millinery and fabric in good condition, making a sizeable donation to charity and providing items too good for landfill with a new lease of life. 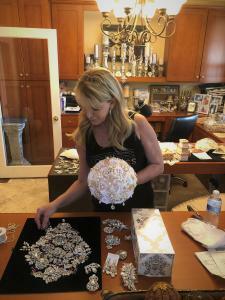 After removing all trimmings and cleaning, the hat base is reshaped and put into stock to await the creation of a new design to match that special outfit or become a statement piece for an international fashionista. Most of the fabrics and trimmings used are also upcycled from vintage fabric collections found via the internet or the designer’s own inherited treasure trove of laces, silks, buttons, flowers and beads. When dispatched to a new home, each design is carefully wrapped in tissue paper (recycled) before being placed into a signature black and white candy stripe box (made from recycled paper), tied with a sumptuous satin bow (recycled from heritage stock) to be whisked away to destinations in the UK, Far East, Middle East and the USA. 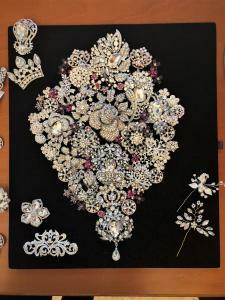 Hat Couture has already found new homes for a number of these exquisite works of art. Karen from Kent recently purchased ‘Vintage Rose Garden’ and was delighted when her one of a kind creation arrived, “Hat received – absolutely love it – gorgeous! Many thanks”. Founded in 2018, Hat Couture is a small business with big ideas. Alongside its collection of upcycled and designer Millinery the company is set to launch a range of crystal jewelry and vintage silk scarves. 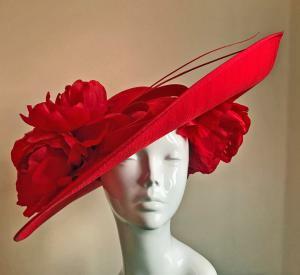 In response to requests from fans, Milliner Denise Marsh is also looking at ways to offer training courses in hat making and silk flower techniques for those interested in honing their skills and joining the growing band of enthusiasts for textile upcycling. •	In 2016 1,130,000 tons of new clothing was purchased in the UK – an increase of 200,000 tons since 2012. •	Fashion in the UK lasts an average of 3.3 years before a garment is discarded. •	Extending the life of a garment by an extra nine months reduces its environmental impact by 20-30%. in a net greenhouse gas saving of 11 tons of carbon dioxide equivalent. 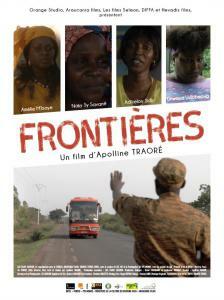 Frontières (Borders) is an award-winning feature film directed by Burkinabe Apolline Traore. The suspense drama focuses on the intense journey of four women who face injustices and sexual harassment while crossing borders to trade goods. 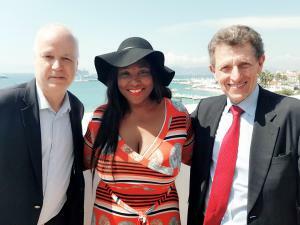 PARIS, SAINT-MICHEL, FRANCE, May 23, 2018 /EINPresswire.com/ — Access to capital, networks, and equality is a global issue for women. According to a report published by the World Bank, it is a known fact that in Africa, women carry goods across borders, produce products, especially food, that can be exported, and own and manage trade-oriented firms. Unfortunately, the women known as traders often face specific constraints that undermine their economic activities. Women traders working in the informal sector are often subject to harassment and extortion at the border. Burkinabé Director Apolline Traore's award-winning feature film, "Frontières" ("Borders") explores the obstacles to the free movement of goods across borders. "Frontières" ("Borders") starring Amelie Mbaye (Adjara), Naky Sy Savane (Emma), Adizétou Sidi (Sali), Unwana Udobang (Micha) premieres on Wednesday, May 23, 2018 at 8:15 p.m. at the Cinema Espace Saint-Michel at 7 place Saint-Michel in Paris, France 75005. This is a media-friendly event. For press credentials or interviews with Traore, contact Camille Jouhair, founder of Hévadis Films, at 06 51 15 95 93 or hevadis@free.fr. Traore brings attention to the problematic borders and the commitment of these women, who in their day-to-day struggle for their family, face dangers on cross-border roads causing enormous suffering in their quest to find financial stability. The four women, Adjara, Emma, Sali and Micha, meet on a bus while travelling through 5 countries in 7 days, wherein they endure injustices from sexual assault, harassment, and extortion from men and governments who control the borders that they must cross to make a living trading goods. They risk their lives, but will not stop for the survival of their family. long time with very few results," said Traore. "I strongly believe that this fight must be fought firstly at an individual level. Every citizen must be aware and chose to fight. Otherwise, our states are unlikely to succeed." These women throughout their journey demonstrate solidarity and remarkable union, watching over each other, which is a complement to the Economic Community of West African States (ECOWAS) one of the most important and influential bodies of West Africa. ECOWAS' vision is to foster interstate economic and political cooperation. History is on its side in this regard. Dating back to pre-colonial times, West Africans have been among the world’s most mobile populations although much of the migration had been intra-regional. About 7.5 million West African migrants (3 percent of the regional population) are living in ECOWAS countries other than their own. The 1.2 million other migrants are dispersed mainly in North America and Europe. Estimated at about 149 million in 2013, women constitute over 50 percent of the region’s population. The cross-border migration of women as traders and business persons places them as potential champions for promoting integration. This reality needs to be fully exploited. Traore continues to tell stories that bring attention to African culture and history. 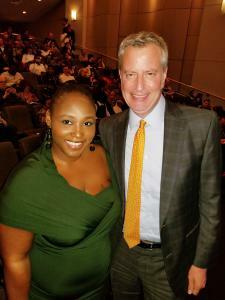 Her next project scheduled to begin production in Summer 2018 is a Haitian feature film, “Desrances," starring Award-Winning Haitian-American TV and Film Actor Jimmy Jean-Louis. "My inspiration about “Desrances” came from the place of girls in our society. Until today we find in our community, parents who prefer putting their boy in school because a girl will leave the family: with a husband," said Traore. "It's important for me to show that a girl can be a heir as well as a boy. The story honors Haiti by showing the strength of a Haitian man, despise his multiple troubles. It's a positive and honorable reflection of Haiti. A poor and very problematical country that stays strong no matter the circumstances." For interviews and personal appearances, contact Traore's Publicist Marie Lemelle at 213-276-7827 (WhatsApp) or m.lemelle@att.net. For more information about the purchase, lease or distribution of Traore's films or for investment and product placement, contact Traore at apollinet@yahoo.fr or Platinum Star PR at info@platinumstarpr.com. Apolline TRAORÉ was born in Ouagadougou, Burkina Faso. After traveling around the world with her father who worked for the United Nations, she ended up at Emerson College in Boston,USA for film school. 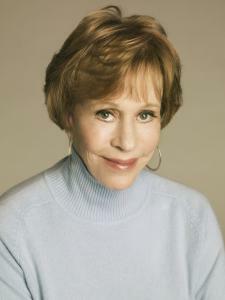 In 1998, she obtained her Master's degree in directing and then moved to Los Angeles. After a few years working in independent films, in 2007 she decided to return to her country to tell stories about her continent. She is a director, producer, and writer, known for award-winning films: Borders (2017), Kounandi (2004) and The Price of Ignorance (2000). 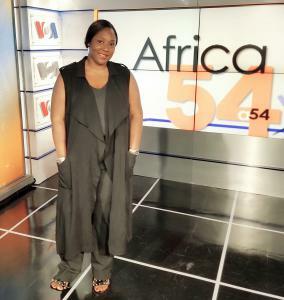 The limited liability company was founded by Apolline Traoré in 2001 with its head office in Ouagadougou, Burkina Faso. It is specialized in films and videos production. Les Films Selmon is made up of a General Manager, 6 permanent staff members and a dozen contractual workers. The Vision of Economic Community of West African States (ECOWAS) established on May 28 1975 is the creation of a borderless region where the population has access to its abundant resources and is able to exploit same through the creation of opportunities under a sustainable environment. What ECOWAS has created is an integrated region where the population enjoys free movement, have access to efficient education and health systems and engage in economic and commercial activities while living in dignity in an atmosphere of peace and security. ECOWAS is meant to be a region governed in accordance with the principles of democracy, rule of law and good governance. Orange, present in nearly 20 countries in Africa and the Middle East,supports African film production, with 13 films co-produced by Orange Studio (including the movie multi-award-winning TIMBUKTU), since 4 years. 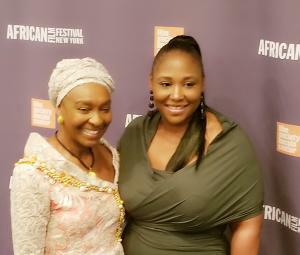 The operator attaches to promote creation by promoting African films at festivals, restoring movies and helping young directors from the continent. promote international artistic exchanges; share French intellectual creation;to disseminate French film and audiovisual heritage;to support the cultural development of the countries of the South;encourage the dissemination and learning of the French language;develop the dialogue of cultures through the organization of "seasons", "years", or "festivals" in France and abroad;promote the international mobility of creators, with residency programs;coordinate and promote actions with French local authorities abroad;to act for cultural diversity on a European scale through European and multilateral partnerships; and provide training and career follow-up for cultural network agents around the world . Denver-based video production company VP Legacies shows that there is more to choosing a video production company than just cost. DENVER, CO, USA, May 21, 2018 /EINPresswire.com/ — Denver, Colo. (May 21, 2018) — VP Legacies, a Denver-based video production company that specializes in personal connection, exhibits that there is more consider when choosing a video production company than just cost. The video production industry hosts a wide range of video professionals, ranging from college students to freelance artists to video production studios. While it’s easy to base a decision on price, a proposal for a one-minute video can range from $100 to over $100,000 depending on the scope of work. Oftentimes, when a business chooses a video production company, they choose a less expensive company to cut costs, but it ends up costing a business more in the long run. A business must understand what it takes to create an impactful video with ROI potential. Cost isn’t everything when choosing a video production company; there are other factors to take into consideration. Instead of evaluating a decision solely based on cost, evaluate based on the value the business is getting in return. Businesses must take non-monetary factors into consideration such as transparent communication, timeliness of delivery, going above and beyond for clients, quality of video, and customer relationship into account when choosing a video production company. When working with VP Legacies, businesses pay for these factors and how they treat each individual project. Businesses get a company that takes the time to really get to know its clients and goes above and beyond to create videos of the highest quality for its clients. VP Legacies focuses on creating a world where people aren’t afraid to personally connect, specializing in storytelling video production in Denver with their repertoire of consulting, capturing and editing services to achieve all of a company’s creative and business goals – employee and customer engagement, education or testimonials.